Klim Adventure Air Jacket - Tougher, Hotter. From the rough-and-tumble folks that brought us the Adventure Rally and Badlands Pro jackets and pants comes the new Klim Adventure Air Jacket and Pant. Designed for the hottest weather and the toughest conditions, this heavy duty jacket will remain the ultimate in high-quality fitment and comfort as is Klim's standard. As its namesake implies, the "Air" component of the Adventure comes in two forms. First, an addition of several lower body vents and arm vents give the biggest potential for ventilation that we have seen to date on a non-mesh jacket. While we haven't gotten our hands on one yet, we know that it will be compatible with a neck brace and it is rumored that the collar is entirely removable for even more ventilation. Outside of the properties of the shell (which, by the way, is still using 3-layer Gore-Tex Pro Shell Armacor), we also welcome a new generation of D30 protection into the US. 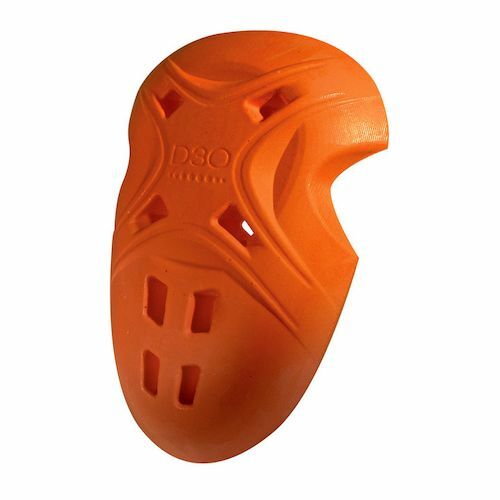 While structurally stronger and certified to the proposed CE Level 2 standard for all pieces, the Xergo D30 Armor actually flows substantially more air for copious amounts of ventilation even through your protectors. In addition to these new features, several existing attributes have been improved on including an increased hydration carrying capacity, more ergonomic support belt and re-design on superfabric panels and reflective material. Klim's dedication to manufacturing garments for the most extreme riding conditions is duly noted and thoroughly appreciated! As soon as we get our hands on one, we will keep you up to date with the latest on this attractive Klim Adventure Air Jacket.